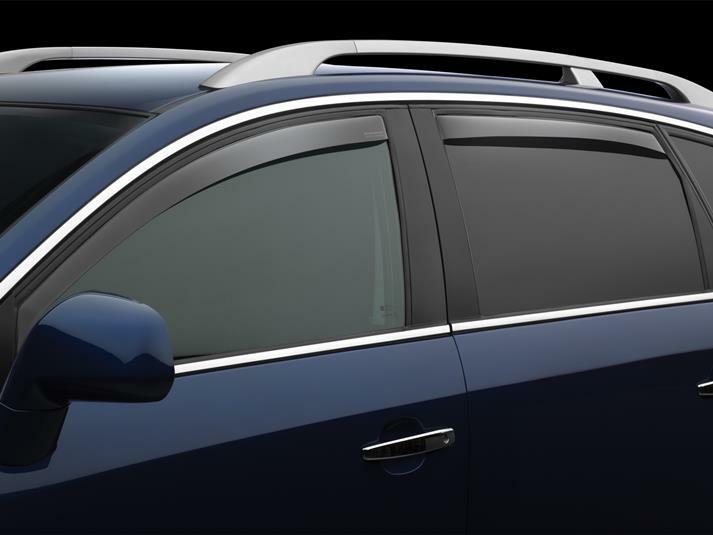 WeatherTech Side Window Deflectors are precision-machined to perfectly fit your 2009 Volvo XC70's window channel. These low profile window deflectors help to reduce wind noise and allow interior heat to escape. Our light tinted Side Window Deflectors are the only deflectors in the world made with a D.O.T. (U.S. Department of Transportation) approved glazing material. Available in light and dark tint for most vehicles. Designed and Engineered in USA – Handcrafted in Germany. Just purchased my 8th set of side window deflectors from WeatherTech. I put them on all my cars for years. Very sturdy. Last time a bought a cheap pair elsewhere and that's just what they were. WeatherTech always fits well, that's why I'm back again.